Christmas is a season of icons, the tree, stars, candy canes, the list goes on and on, but one of my favorites is the Christmas bow. It's that glittering gem on top of all of your presents under the tree! For me it evokes anticipation, excitement, wonder, and the magic of Christmas, I can't get enough of the bows. This year I thought I would use it in a new scale and texture and replace some wreaths in my house with larger than life Christmas bows. I used upholstery webbing for texture and for its rustic, and neutral appearance. 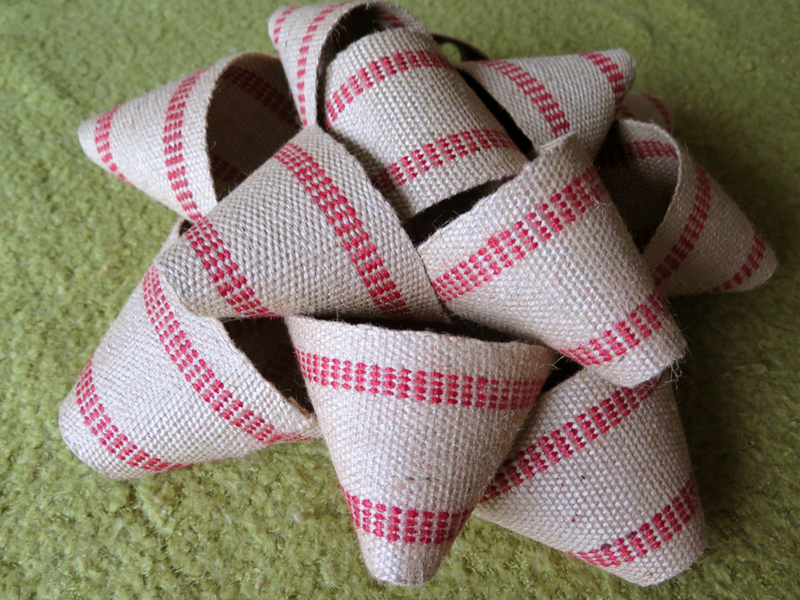 This bow could coordinate with many different Christmas decorating styles, but the material could be replaced by different thick papers or extra wide ribbon. Experiment with materials that match your style. 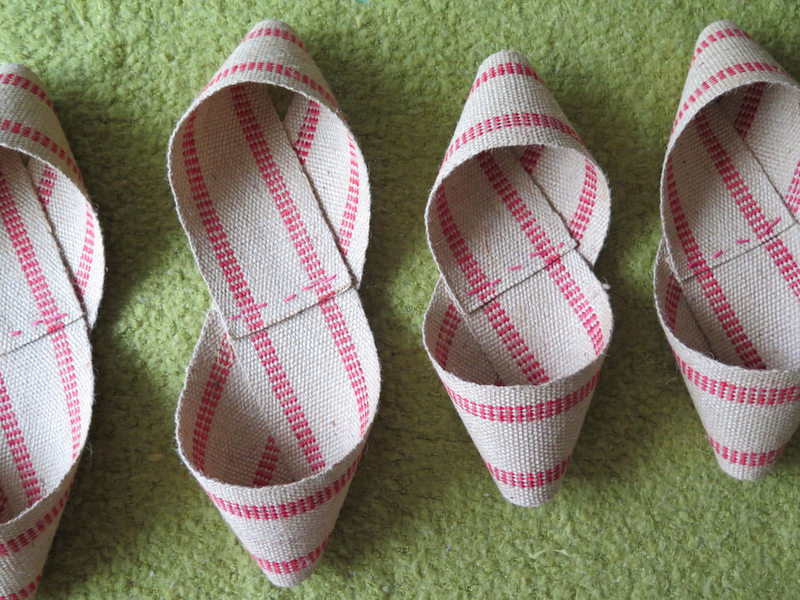 Cut two strips of webbing for each length: 36," 32," 26.5" (six strips total). 3. We'll be making figure eights with each piece. Pay special attention to the pictures included and the direction of the twist. 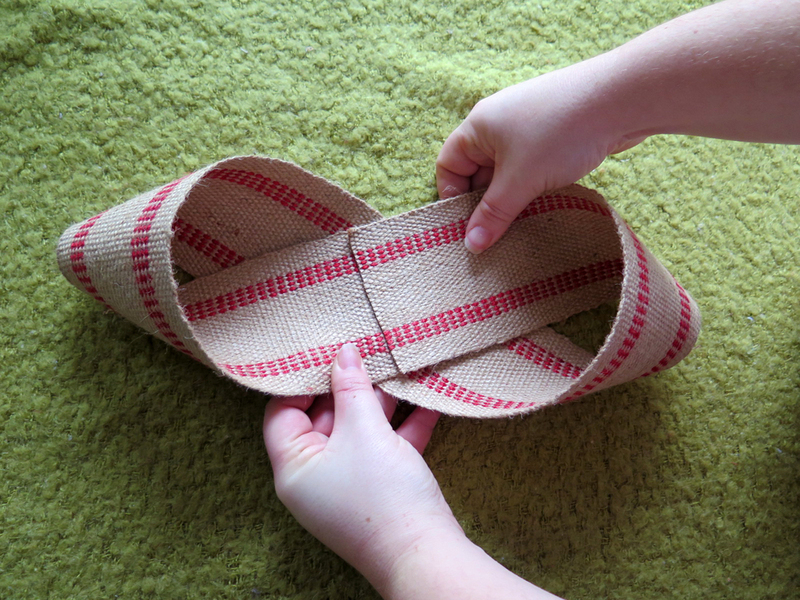 Start by bringing one side of the webbing back around on itself to the center of the webbing. Note: there is no twisting or flipping involved. 4. Bring the second piece in the opposite direction of the first, and make it meet in the center of the webbing. 5. 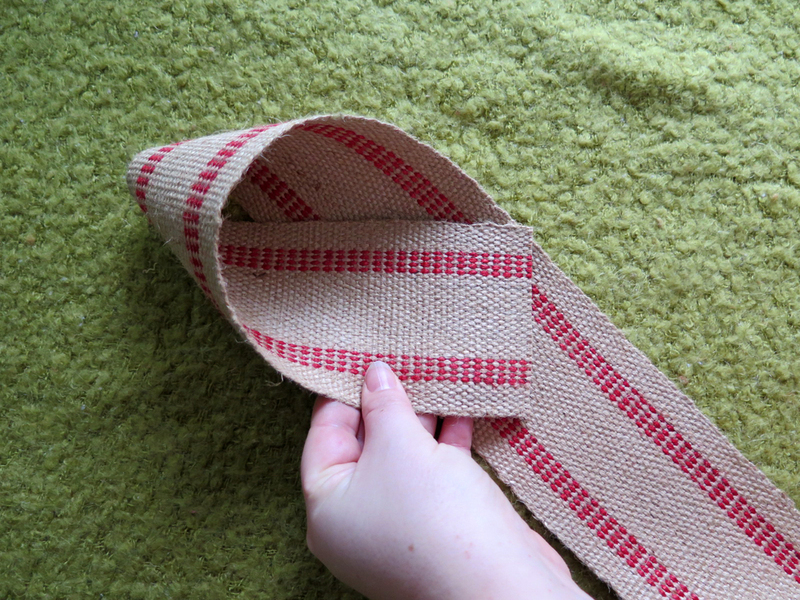 Using the upholstery needle and yarn or twine, stitch through all three layers of webbing (the two ends and the base) to secure both loops in the center of the webbing. You can adjust where the ends meet to make sure that both loops are of equal size. 6. Twist and stitch the 36," 32," and 26.5" strips, you'll have six figure-eights. 7. 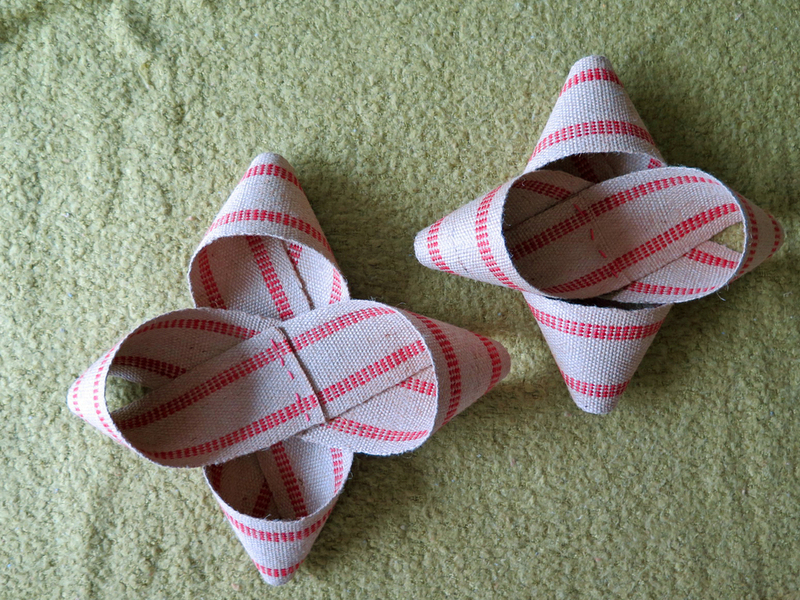 Attach the crissed cross pairs with a big "x" stitch, just to secure them. 8. Begin with the largest criss cross pair, and stack the next smallest pair on top, rotating 90°, so that each layer alternates direction. Add the smallest pair to the top. 9. Connect stack by stitching in the center through all of the layers. 11. 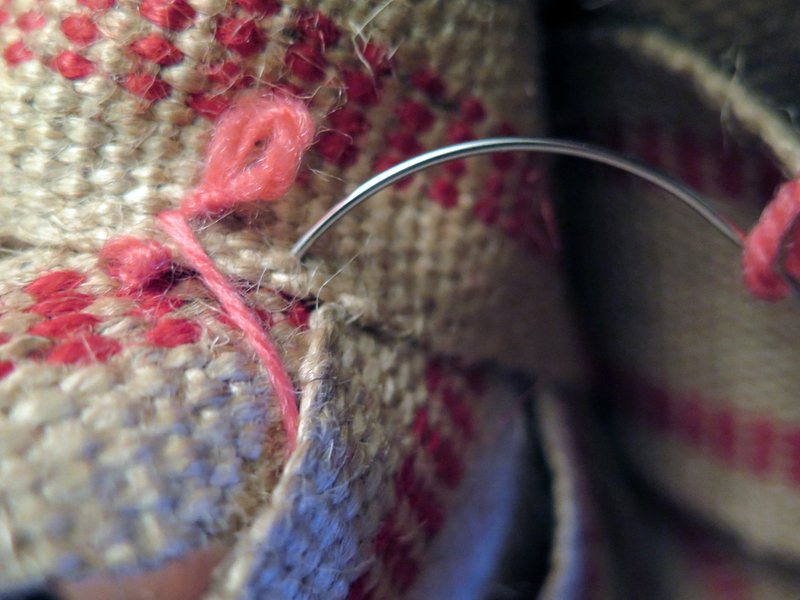 With the stitched side down, use small stitches to tack the middle piece into the center of the bow. 12. 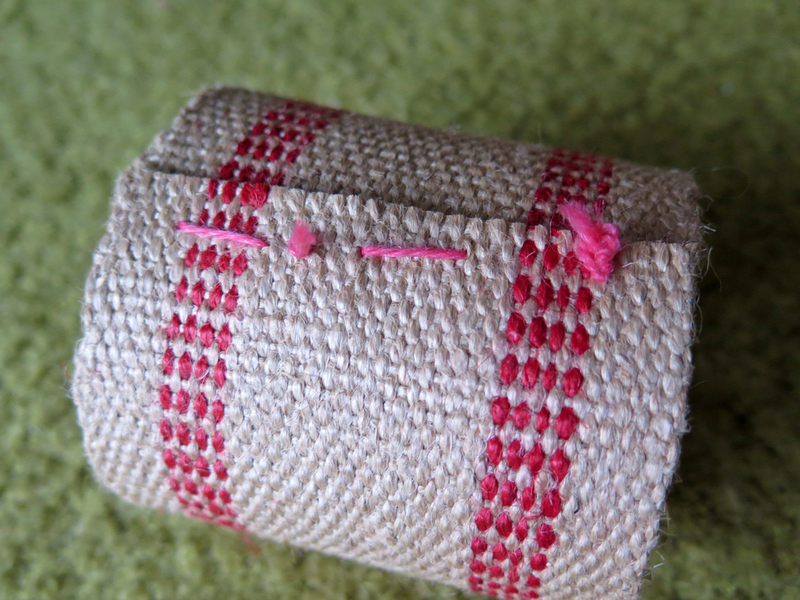 Use small stitches, to tack loops from different layers to the loops behind them. These stitches will help to stabilize, and support the bow and prevent loops from drooping. Consider the placement so that the stitches will remain hidden. 13. Cut two strips of cardstock, about 4"x10." Cover one with tacky glue and attach it to the back of the bow. 14. 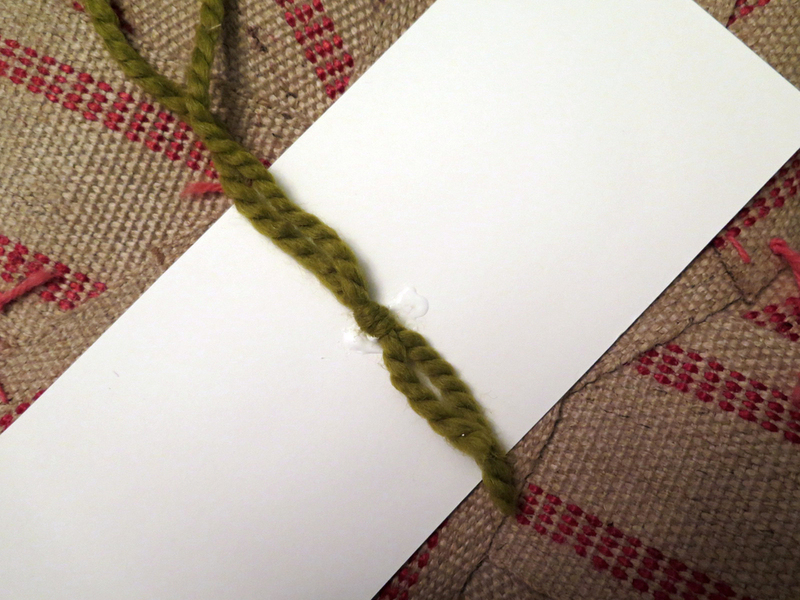 Knot a piece of yarn or twine to create a loop, glue it to the first piece of paper. 15. Cover the second piece of paper in tacky glue, lay it perpendicular to the first piece, creating a supportive "x" for the back of the bow. Make sure the loop is secured snuggly in between the pieces of paper. 16. Flip the bow over to dry; I tucked some weights into the loops to weigh down the bow while it dries, making sure the paper attaches to the bow. 17. Allow the bow to dry for at least one hour, check to make sure the paper and loop are adhered successfully. Clip the corners of the paper if they are visible from the front. 18. Hang your new bow! Happy Holidays from Snips Entwined!